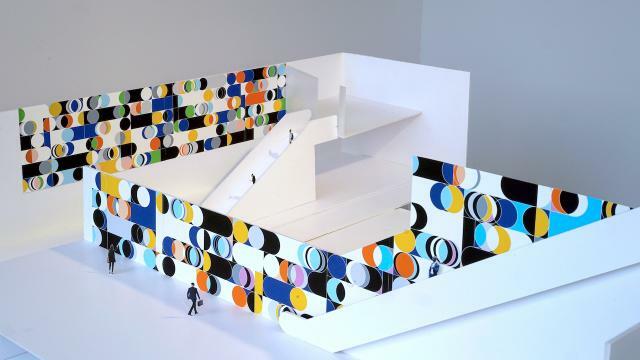 Earlier this week, regional transit agency Metrolinx held a pop-up exhibit at the Ontario Science Centre, offering a first glimpse at eight integrated art installations that will grace six stations of Toronto’s Eglinton Crosstown LRT. 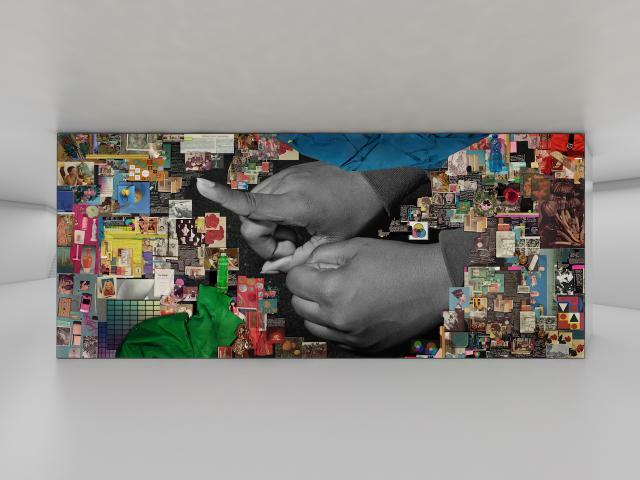 The eight artworks were created by a relatively diverse group of artists, ranging from internationally recognized names to emerging local talents. 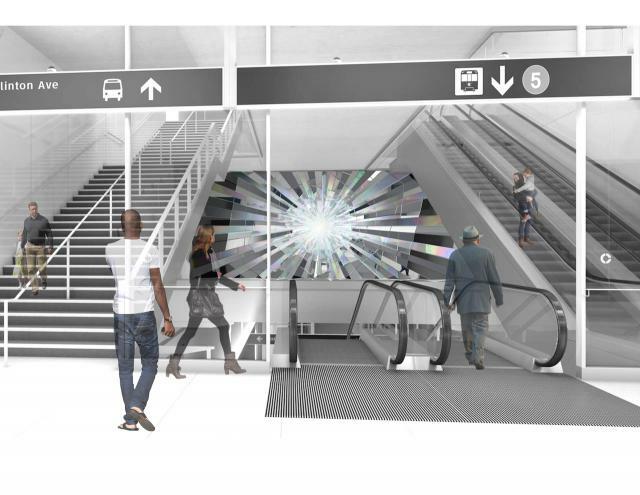 Integrated art components will be installed at these six stations: Mount Dennis, Caledonia, Cedarvale, Eglinton, Science Centre and Kennedy station. 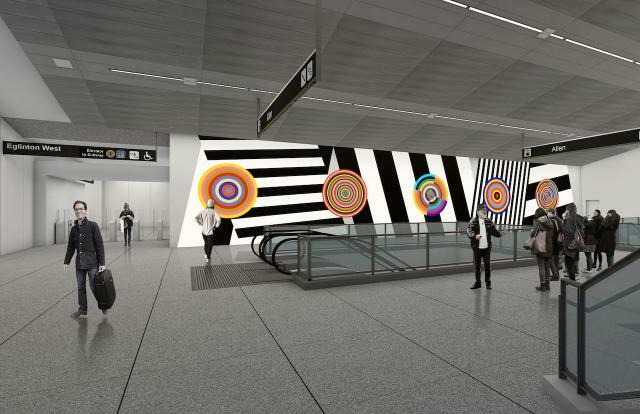 The selected artists contributing designs to the Crosstown project include Janice Kerbel, Douglas Coupland, Rodney LaTourelle with Louise Witthoft, Hadley + Maxwell with Sara Cwynar, Sarah Morris, Joseph Kosuth with Dagmara Genda. 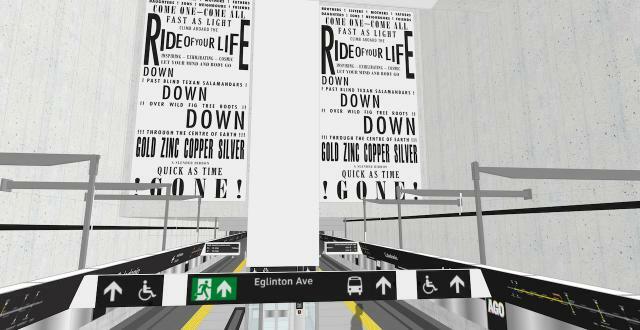 In November 2015, Metrolinx issued an open and invitational call for artists for the Eglinton Crosstown LRT project. Metrolinx received 187 applications, yielding 69 qualified submissions. More than half of these qualified submissions were from Canadian artists. 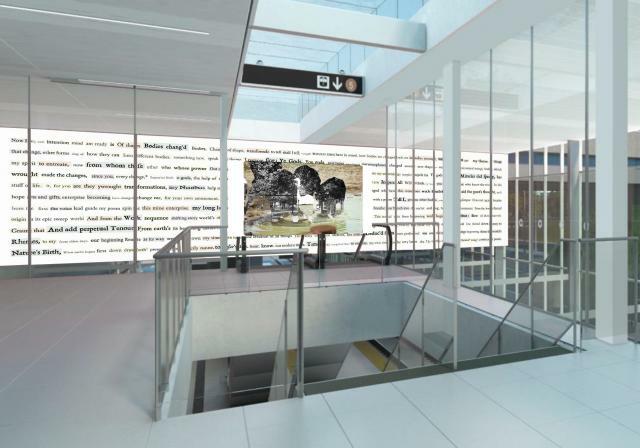 In January 2016, Metrolinx prequalified a short-list of 14 artists. An independent selection panel, made up of four specialists, reviewed the artists’ qualifications and artwork submissions prepared for each station. The selection panel consulted with a larger panel appointed by Metrolinx, made up of stakeholders, including the City of Toronto and Crosslinx Transit Solutions (CTS), the Eglinton Crosstown’s private partner constructor. Untitled work by Sarah Cwynar. 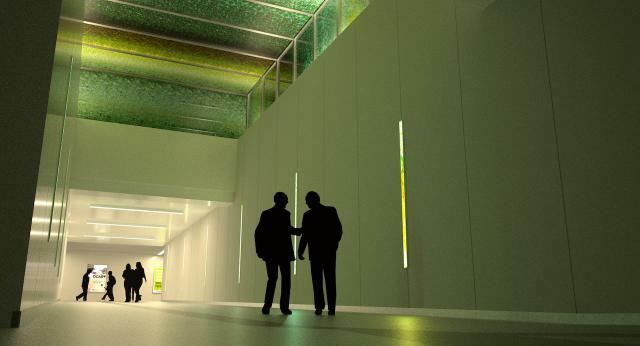 Image via Metrolinx. 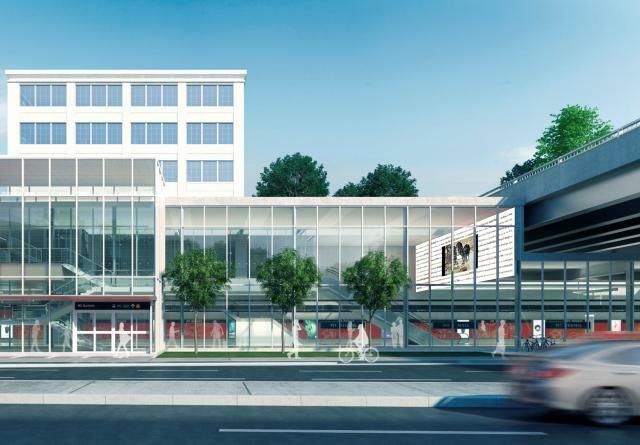 Now under construction, the Crosstown LRT is provisionally slated for a 2021 opening.